You’ve probably landed on this page because you’ve got some unwanted rodent guests in your house and you want to get rid of them. The task is a challenging thing to do and it’s not just about choosing the best mouse trap. Mice are cunning and sneaky. They are omnivores and eat just about anything, hanging out around your home, ruining your stuff and eating food you have stored. Want to learn how to set a mouse trap properly? How about the mistakes you should avoid? Trapping a mouse is a serious task that requires a lot of thinking and effort. You may find this weird, but you need to have some knowledge about rodent psychology. In simpler words, you need to know how a mouse thinks to be able to catch it. Let us discuss about the classic mouse trap, also called the snap trap. If you haven’t seen one, it consists of a rectangular piece of pine, a coil spring with a “U”-shaped bar, and a trigger plate which refers to a flat piece of metal. Basically, you need to secure the “U”-shaped bar with a small rod resting on the trigger plate. Once the trigger plate gets disturbed, the holding rod gets released making the bar snap with a crack. First off, you should remove the staple holding the locking bar in place. Once done, add bait inside or on top of the bait pedal. Normally, a spoonful of peanut butter works best. Then pull the snap bow backwards and make sure to securely hold it using your thumb; and pull the locking bar back and hook the curved end beneath the “U”-shaped metal. For your information, mice have poor eyesight; therefore, they use their body hair and whiskers as guides as they run along walls. Never put the trap in the middle of floor, for doing so will not lead to great results. You don’t just place your device against the wall in any angle. Make sure the trigger is closest to the wall if you really want to catch some mice. Proper operation and right positioning are the key ways to succeed in mouse trapping. Just follow these tips and expect to successfully do this household task. Mice aren’t really attracted to cheese, but rather seeds and nuts. Try using peanut butter, hazelnut spread, marshmallows, and even chocolate as bait. Expect mice to feast on them. As temperature drops, mice go inside to build their nests. Entice them with fibers like yarn and twine. Be sure not to put too much bait; a small amount is just right to lure them. Furthermore, wear gloves in setting the trap and handling the bait. Mice can detect your scent so you can’t trick them. Mice don’t stay in open areas. Dark corners, secluded areas, garages, and cluttered rooms are places where mice frequently roam. These are the best locations to place your traps. Put them along the wall and you will surely make a good catch. Take note that mice multiply fast so you need to set many traps to eradicate them. There are various kinds of mouse traps for different types of mice. A certain trap can be effective for small and active mice but not with big and fierce ones. Try to find the right type of mouse trap for specific situations. 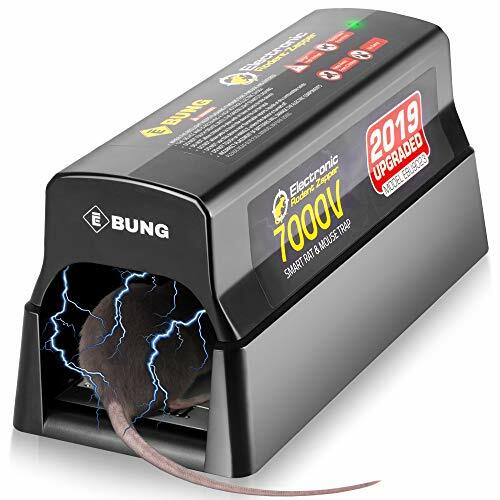 If you still haven’t caught a single mouse after using the right bait and trap and placing them in the right location, it is possible that your pests might not be mice at all. Small droppings don’t always indicate the presence of mice in your home. Take time to keep an eye on your unwanted guests before planting new traps around. Then, decide on the right approach on how to eradicate them. Getting rid of pesky mice doesn’t end with setting mouse traps. To make your home rodent-free, avoid these mistakes and you will surely succeed in your mission of eradicating them. Mice indeed ruin a lot of stuff in one’s household. If you don’t do anything about them, they could harm your health too. As a responsible homeowner, you need to be knowledgeable about rodents, particularly on how to get rid of them. Apply everything you learn and don’t stop until you hit your goal. Meanwhile, patience is also very important. While you may instantly catch a mouse, it is also possible to make a number of attempts before succeeding.